The following families have genealogy eBooks on this page: Augur, Barrett, Bridgman, Callender, Hassard, Marsh, Newkirk, Parke, Phelps, Roberts, Robertson, Ruggles, Rumph, Stoddard, Sill, and Swartley. 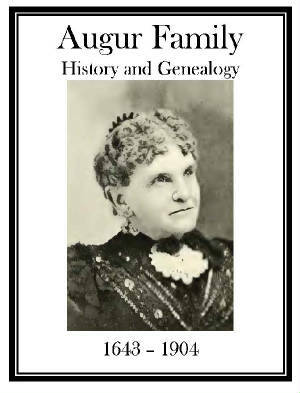 Augur Family History and Genealogy PDF eBook English 15.9 MB 1904. The descendants of Robert Augur have stretched from the pioneering New Haven Colony westward across the United States. Vital records with names and dates range from 1643 up to 1904, spanning a period of over 260 years, with numerous rare photographs, and maps in this in this great family reference. There is a 30 page index containing thousands of descendants and in-laws! A great resource for the family genealogist! Price $6.95 USD. 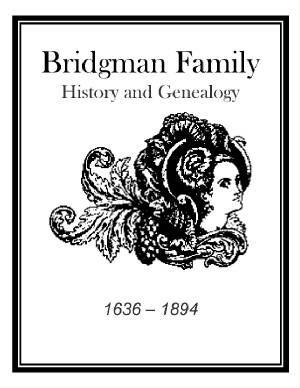 Bridgman Family History and Genealogy PDF eBook English 11.0 MB 1894. The Bridgman family legend provides that ancestors came from Hants, England, and arrived in the American colonies about 1640. The family grew and migrated from Hartford, Connecticut west to the prairie homes of the Dakotas. The words have faded somewhat yet readable. There are 10 generations listed ranging in time from 1636 up to 1894 with names and vital dates. An excellent resource for the family genealogist! Price $6.95 USD. 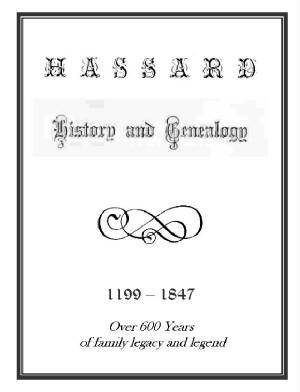 Hassard Family History and Genealogy PDF eBook English 9.61 MB 1858. Family legends with names and dates are discussed here in this wonderful publication on the Hassard family. The timeline extends from the year 1199 up to 1847 providing a very early history that ranges nearly 650 years! A great resource for the Hassard family genealogist! Price $6.95 USD. 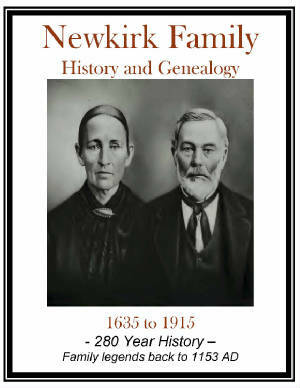 Newkirk Family History and Genealogy PDF eBook English 4.16 MB 1916. Aboard the ship Moesman on April 25th of 1659 the first member of the Newkirk family arrived on the shores of North America. Family legend dates back to the year 1153 with vital names and dates ranging fro 1635 up to 1915 and a few rare ancestral photographs. Hamilton and Bayless families are also mentioned. Variations include Newkirch, Neukirk, and Nieuwkercke. A great resource! Price $6.95 USD. 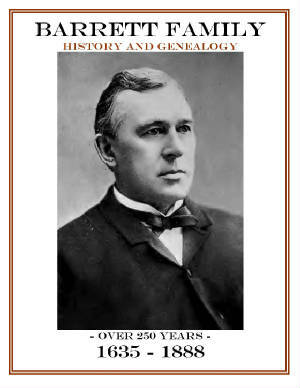 Parke Family History and Genealogy PDF eBook English 5.35 MB 1920. 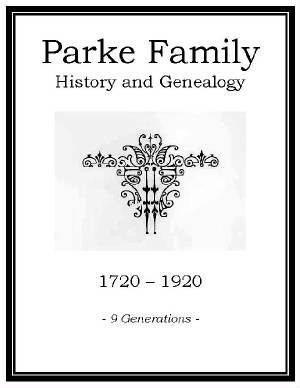 The Parke family legend dates back to the year 1610 along with numerous short biographies in this great resource. Vital names and dates range from the year 1720 up to 1920 with 9 generations of descendants and in-laws originating with Arthur and Mary Parke. Over 200 years of history! Price $6.95 USD. 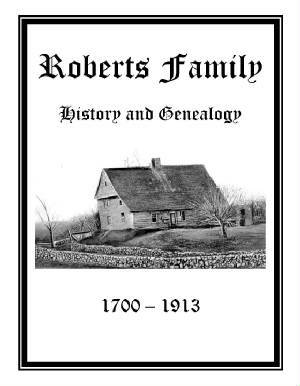 Roberts Family History and Genealogy PDF eBook English 1.00 MB 1913. Three Roberts’s brothers came from Wales to the American Colonies around the year 1700. Spreading out across the frontier the family connected with the Quaker belief. Eight generations with vital names and dates ranging from 1700 up to the year 1913 in this twelve page resource. A source of essential genealogy that may be unique to this publication! Price $6.95 USD. 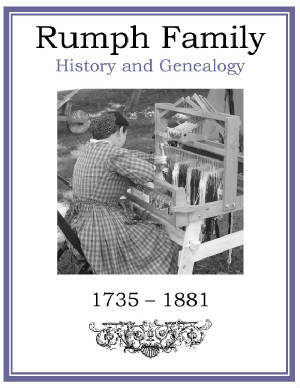 Rumph Family History and Genealogy PDF eBook English 1.17 MB 1903. The Rumphs can trace their lineage back to 5 family members whose names first appear in South Carolina USA records about 1735. They likely arrived in Charleston on July 13, 1735 from Germany. Vital names and dates range from 1735 to 1881 with American Revolutionary War patriots listed and veterans of the Confederated States of America included. Only eleven pages in length packed with ancestral information! Price $6.95 USD. Sill Family History and Genealogy. PDF eBook English 4.30 MB 1859. 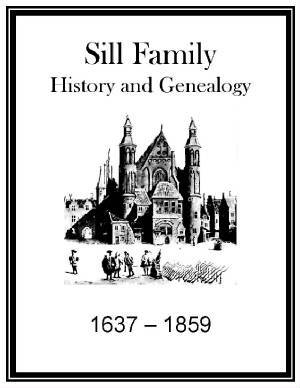 Here we find listed 7 generations of the Sill family that covers the years from 1637 up to the publication in 1859. This colonial American family begins with John Sill who settled in Cambridge, Massachusetts in the year 1637. Printed prior to the Civil War in the United States, it can establish relationships to many collateral families in early United States history and be a source of important documentation. Price $6.95 USD. Barrett Family History and Genealogy. PDF eBook English 17.7 MB. 1888. Thomas and Margaret Barrett emigrated from England to the American Colonies in New England between 1635 and 1640. Over the next 200 years the family grew substantially. Sprinkled with poetry and short biographies this publication contains an index of 25 pages and over 1200 names of descendants and in-laws. 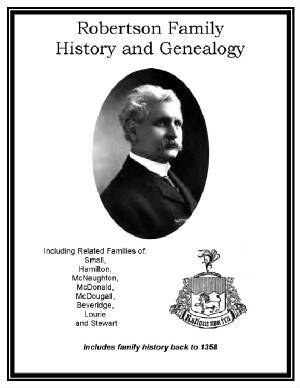 A great resource for the Barrett family genealogist! Price $6.95 USD. 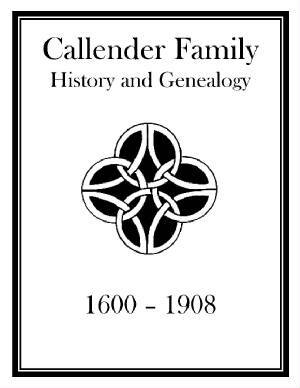 Callender Family History and Genealogy PDF eBook English 1.25 MB 1915. The Callender family legend dates back to the year 1070 according to this remarkable publication. The Scottish Earldom of Calandar is referenced along with vital names and dates ranging over 300 years, from 1600 up to 1908. Annotations from the original purchaser are in the margins of this rare antique shop discovery. Although only 20 pages in length, this genealogical information may be valuable. Price $6.95 USD. Marsh Family History and Genealogy. PDF eBook English 14.7 MB 1888. On March 24th of 1633 John Marsh set sail from England to the American Colonies. This publication not only provides 8 generations of his descendants, which span the years from 1633 up to 1888, but also a 30 page index of names and in-laws. A treasure of information for the Marsh family genealogist! Price $6.95 USD. 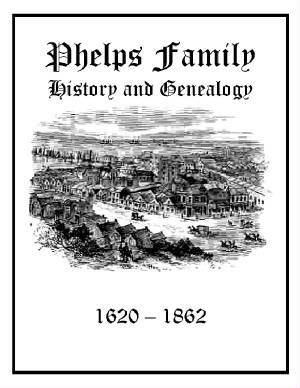 Phelps Family History and Genealogy PDF eBook English 3.81 MB 1862. The Phelps legend contends that the family was aboard the sailing ship John and Mary that arrived in the American Colonies in 1630. Carefully compiled 150 years ago this publication contains deeds, wills, letters from the 1800s, and even a family song from 1791. Vital records range from 1620 up to 1862 with names of descendants and in-laws. A wonderful resource with rare information! Price $6.95 USD. Robertson Family History and Genealogy. PDF eBook English 13.1 MB 1907. With direct links to Scotland, family lore dating back to 1358 and an index of over 1200 descendants with in-laws, this is an exceptional historic account of the Robertson family. Significant histories of the noted related families also span the time period from 1816 up to 1906. As stated in the book: people are a quotation from all their ancestors. A splendid resource for the family genealogist! Price $6.95 USD. 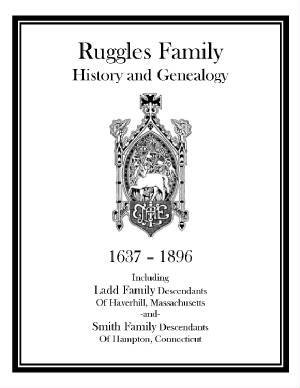 Ruggles Family History and Genealogy PDF eBook English 2.66 MB 1896. There are nine generations which begin with Thomas and Alitheah (nee Smith) Ruggles who lived in Pomfret, Connecticut, and Rutland, Vermont. Pioneer life was difficult as violent clashes with Native American tribes and abductions occurring, stories of which are chronicled in this publication. The associated family of Samuel Ladd in Haverhill, Massachusetts also has a genealogy provided. An excellent resource on this colonial American family. Price $6.95 USD. 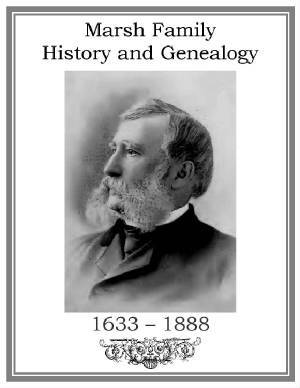 Stoddard Family History and Genealogy PDF eBook English 5.41 MB 1873. 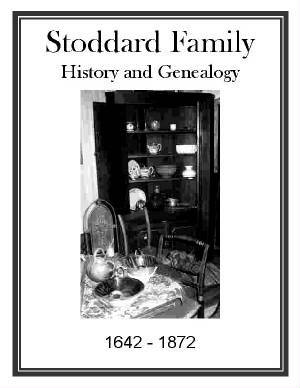 Research began in 1847 on the Stoddard family history and was conducted over the next 16 years. Although completed in 1863 the American Civil War prevented the publication for another ten years. Vital names and dates extend from 1642 up to 1872 with a four page index listing hundreds of descendants and in-laws. A great resource of Stoddard family genealogy! Price $6.95 USD. 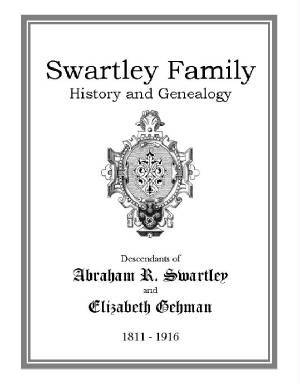 Swartley Family History and Genealogy. PDF eBook English 2.82 MB 1916. The descendants of Abraham Swartley or Schwerdle arrived in 1772 aboard the ship Minerva from Baden, Germany. Embracing the Mennonite community in Pennsylvania he and his wife Elizabeth Gehman established the family there while the American Revolution was brewing on the east coast. Vital records and names stretch from 1811 up to 1916. An essential resource for the family genealogist! Price $6.95 USD.